Most Americans do not realize this, but we are on the verge of a major doctor shortage in the United States. All over America, good doctors are going broke. The way that our health care system is currently set up, they simply cannot make it. These days a lot of politicians are warning us about the dangers of “socialized medicine”, but the truth is that we already have it. About half of all health care dollars in the United States are now spent by the federal government, and a lot of health insurance companies base reimbursements on what the federal government does. In addition, there are a whole host of parasites that have gotten between the doctor and the patient these days. Everyone wants a piece of the health care pie. Health insurance companies, pharmaceutical giants, lawyers, health care “administrators” and government bureaucrats all make a sweet living off of the doctor/patient relationship. It really is sickening. And now Obamacare is going to make things much, much worse. As you will read about later in this article, a stunning percentage of doctors say that they plan to leave the medical profession because of Obamacare. What this means is that we are headed for a chronic doctor shortage and there is a good chance that there will be no doctor for you when you really need one in the years ahead. Today, approximately 40 percent of all doctors in the United States are 55 years of age or older. Large numbers of them are getting ready to retire. Even before Obamacare was passed, we were already facing a massive shortage of doctors in the coming years. The American Association of Medical Colleges has projected that we will experience a shortage of more than 150,000 doctors over the next 15 years. Unfortunately, the passage of Obamacare is going to make this crisis even worse. A whole host of surveys have shown that a massive number of doctors in America are headed for the exits because of the new health care law…. *According to a Merritt Hawkins survey of 2,379 doctors for the Physicians Foundation that was conducted in August 2010, 40 percent of all U.S. doctors plan to “retire, seek a nonclinical job in health care, or seek a job or business unrelated to health care” at some point over the next three years. *A shocking IBD/TPP Poll taken in 2010 found that 45 percent of all U.S. doctors are considering leaving the medical profession or retiring early as a result of Obamacare. 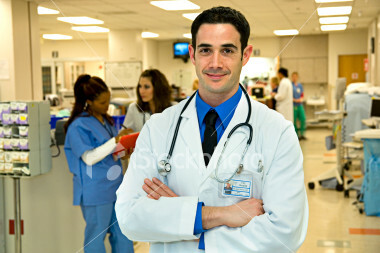 At the moment, there are approximately 960,000 doctors in the United States. So what is going to happen if a couple hundred thousand of them suddenly leave the medical profession? Already we were in desperate need of a lot more doctors. The following comes from an article in the Wall Street Journal…. Health-care reform will add an estimated 32 million people to the ranks of the insured, driving them to seek medical attention that in the past they may have avoided due to expense. The aging population will also create much greater demand. The number of seniors who need more medical care is expected to soar to 72 million by 2020—nearly double today’s number. So what is going to happen if the number of doctors starts declining rapidly? Most Americans think of doctors as being “wealthy”, but that is not the reality of what is going on out there these days as a recent CNN article explained…. Doctors in America are harboring an embarrassing secret: Many of them are going broke. This quiet reality, which is spreading nationwide, is claiming a wide range of casualties, including family physicians, cardiologists and oncologists. Americans spend more on health care than anyone else in the world and yet thousands upon thousands of doctors are going broke. Well, one huge contributing factor is the mismanagement of the federal government. The following comes from an article in the New York Post…. Existing government programs already reimburse physicians at rates that are often less than the actual cost of treating a patient. Estimates suggest that on average physicians are reimbursed at roughly 78% of costs under Medicare, and just 70% of costs under Medicaid. Physicians must either make up for this shortfall by shifting costs to those patients with insurance — meaning those of us with insurance pay more — or treat patients at a loss. So guess who has to make up the difference? When we go to see the doctor we get smacked with a huge bill in order to make up for the Medicare and Medicaid patients. Things have gotten so bad that a lot of doctors won’t even see Medicare and Medicaid patients anymore. Just check out what some researchers found when they called around to doctors in Illinois back in 2010. The following comes from an article in the New York Times…. The study used a “secret shopper” technique in which researchers posed as the parent of a sick or injured child and called 273 specialty practices in Cook County, Ill., to schedule appointments. The callers, working from January to May 2010, described problems that were urgent but not emergencies, like diabetes, seizures, uncontrolled asthma, a broken bone or severe depression. If they were asked, they said that primary care doctors or emergency departments had referred them. Sixty-six percent of those who mentioned Medicaid-CHIP (Children’s Health Insurance Program) were denied appointments, compared with 11 percent who said they had private insurance, according to an article being published Thursday in The New England Journal of Medicine. Today, one out of every 6 Americans is on Medicaid. Without Medicaid, millions of children would not receive health care. But now large numbers of doctors are rejecting patients on Medicaid because they simply cannot afford to treat them. And now as Obamacare is fully implemented over the next few years it is going to make our health care mess a whole lot worse. Obamacare is going to burden our doctors with a gigantic mountain of new regulations and red tape. It is going to become incredibly difficult to make a living as a doctor and the federal government is going to be pretty much running the entire health care system. Did you know that Obamacare is so oppressive that it is even causing the cancellation of new hospitals? According to the executive director of Physician Hospitals of America, Obamacare has already forced the cancellation of at least 60 doctor-owned hospitals that were scheduled to open. In addition, as Obamacare is fully rolled out the wait to see a doctor is likely to get much longer. If you urgently need to see a doctor you may simply be out of luck. If you doubt this, just check out what happened in Massachusetts. As a result of Romneycare, the average wait to see a doctor in Massachusetts is now much, much longer…. Is that the kind of health care system that you want? The more doctors that leave the system, the worse that things are going to get. We need a system where doctors can make a living. It is just as simple as that. The following is one example of a doctor that is going broke from a recent CNN article…. Beau Donegan, senior executive with a hospital cancer center in Newport Beach, Calif., is well aware of physicians’ financial woes. Donegan knows an oncologist “with a stellar reputation in the community” who hasn’t taken a salary from his private practice in over a year. He owes drug companies $1.6 million, which he wasn’t reimbursed for. The following is another example from that same article…. Dr. Neil Barth is that oncologist. He has been in the top 10% of oncologists in his region, according to U.S. News Top Doctors’ ranking. Still, he is contemplating personal bankruptcy. That move could shutter his 31-year-old clinical practice and force 6,000 cancer patients to look for a new doctor. There are already not enough doctors, and the number of doctors is going to continue to decline unless something is done. We need to fundamentally restructure the way that health care is done in the United States. What we are doing now is not working, and Obamacare is going to make things much worse. Today, the average medical school student graduates with over $295,000 of student loan debt. So if doctors can’t make any money, then where is the incentive to go into so much debt? It isn’t as if we are not spending enough money on health care. Just consider the following stats…. -What the United States spent on health care in 2009 was greater than the entire GDP of Great Britain. -According to the Bureau of Economic Analysis, health care costs accounted for just 9.5% of all personal consumption back in 1980. Today they account for approximately 16.3%. -Over the past decade, health insurance premiums have risen three times faster than wages have in the United States. -According to a report released in 2010, Americans spend approximately twice as much as residents of other developed countries do on health care. So we are definitely spending more than enough money on health care. So where is it all going? Well, it is going to the parasites…. -According to a report by Health Care for America Now, America’s five biggest for-profit health insurance companies ended 2009 with a combined profit of $12.2 billion. -The chairman of Aetna, the third largest health insurance company in the United States, brought in a staggering $68.7 million during 2010. Ron Williams exercised stock options that were worth approximately $50.3 million and he raked in an additional $18.4 million in wages and other forms of compensation. The funny thing is that he left the company and didn’t even work the whole year. -There were more than two dozen pharmaceutical companies that made over a billion dollars in profits each during 2008. -According to the CDC, the percentage of Americans that say that they have taken a prescription drug within the last month has risen to almost 50 percent. -Lawyers are certainly doing their part to contribute to soaring health care costs. According to one recent study, the medical liability system in the United States added approximately $55.6 billion to the cost of health care in 2008. This gigantic mess is causing an increasing number of Americans to seek medical care outside of the country. According to numbers released by Deloitte Consulting, a whopping 875,000 Americans were “medical tourists” in 2010. Our health care system is irretrievably broken. The federal government has messed it up beyond all recognition and it is not going to get better any time soon.